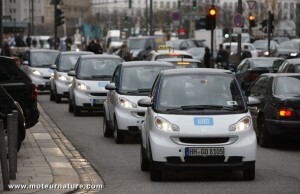 I was a bit surprised in 2008 when I learned that the Daimler group (the German company which owns both the Mercedes and Smart brands) launched a car sharing service in Ulm (Germany). That was car2go and it quickly proved to be successful. So much that most car manufacturers have car sharing plans in Europe, but Daimler’s the leader by far as it has gradually expended its service with now more than 1,000 cars available worldwide. To complicate things, the car2go service is offered in several countries in 2-continents, and the cars use different energies. Most use gasoline, but some are diesels, and some others are electrics. They’re all little Smart cars though. If you consider that with car sharing, you never know in advance when people will want to drive the cars, nor how far they will want to go, you understand that a very precise methodology to manage the fleet is needed. car2go has it, with the most user-friendly software available. There are some car2go stations at crossroads, but most often the cars are just parked on the street, waiting for an user to show up. It’s so easy. You can book a car on the Internet, or there’s an iphone app that can guide you to the nearest car available, but if you happen to see one in the street, you can get it. 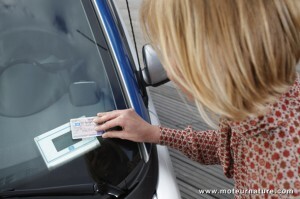 You put your car2go smart card against the reader behind the windshield, and that will unlock the car. You can get in and drive away. When you’ve arrived at your destination, you put your card against the windshield again and that will lock the car. You’re free to go, and the car’s free for another user. I can’t think of a better system. Great software. In America, car2go is available in Austin (TX) and Vancouver (BC). It may start in another city before the end of this year, and this time I would be surprised if it didn’t. Yes, whole service is very simple and user-friendly but as I read in review of this service from Hamburg it has some bugs. For example, navigation system doesn’t show if the driver is still in the operation zone, just during the parking tells they can/can not stop there. Also, timer inside a car would be great. But it still looks like very good idea, I will definitely try.